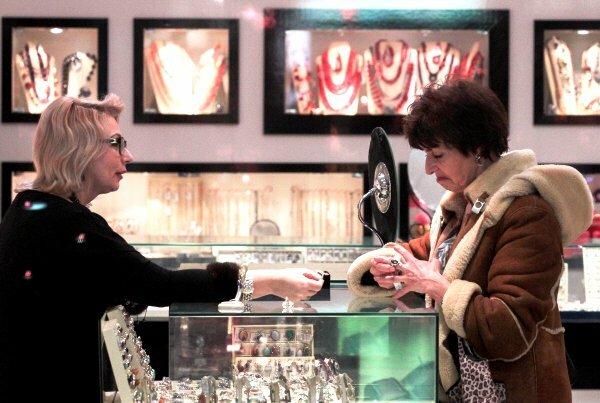 The post-Soviet generation has never seen a shop like this. Parents and grandparents, however, remember the nightmare of empty shelves and long queues in the late eighties when the USSR was moving rapidly towards final collapse. This particular joke is a play on words — the Russian word ‘soviet’ means council (the name given to government bodies of all levels in the Soviet Union), but it also means counsel or advice. The main problem for the man in the street during Soviet times was the total lack of goods and services. In all, Soviet conditions were very similar to life in prison: everything was strictly ordered in order to ensure overall equality in destitution. Privileges were very highly rated and the people that enjoyed them formed a special kind of social support for the regime. The essence of the privileges was that they offered significant quantities of goods to which ordinary citizens had no access. 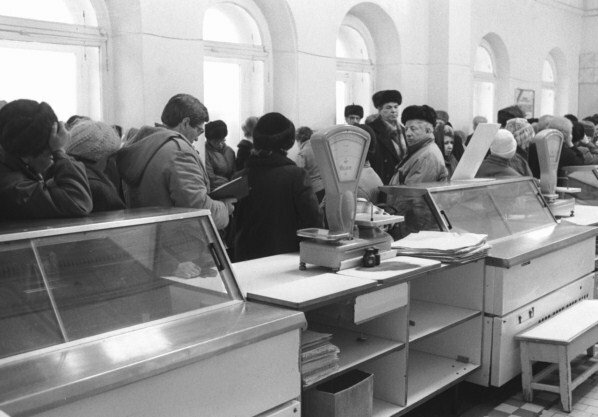 Employees of some enterprises or government organisations of particular importance to the state were issued with so-called food ‘orders’, usually 3-5 units of goods which were not in the ordinary shops: buckwheat, instant coffee, sprats, red caviar and smoked sausage. This could, of course, all be obtained on the black market, as could quality (foreign) goods such as shoes, clothes, home appliances and furniture etc. The market reforms at the beginning of the 90s turned the situation upside down. What became more important for consumers than anything else was the complete privatization of commerce. Shortages of goods and services practically disappeared and in their place (lack of) money became the most acute problem. 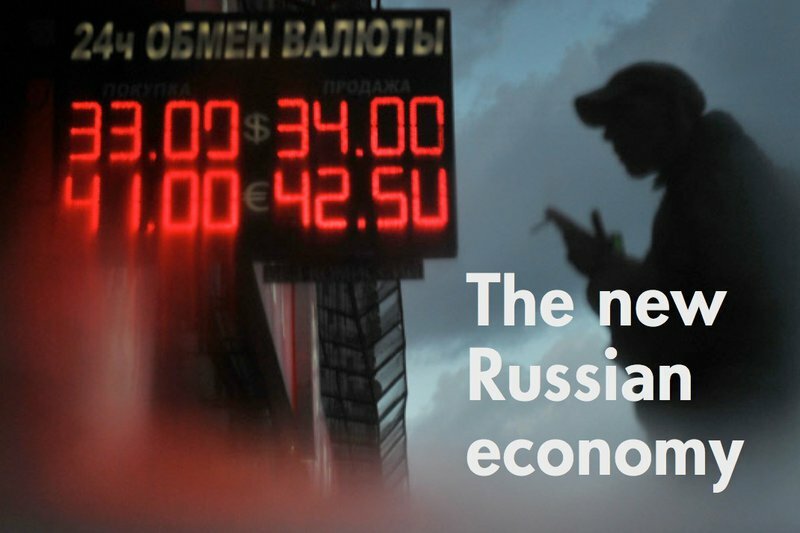 Russia’s economy turned its face to the consumer. The range of shops was almost the same as in European countries and there were as many of them too. Research data collected by commercial property consultants Cushman & Wakefield show that for every 1000 St Petersburg inhabitants there is 437 sq.metres of sales floor space, the same as in Berlin. The number of cafes, restaurants and other such facilities have all grown exponentially since Soviet days. The website spb.allkafe.ru calculates that there are 1954 restaurants in St Petersburg, 2387 cafes and another 4779 similar establishments. There are many more hotels, too (although it’s not always easy to find a room during the high season). All in all, St Petersburg is now very like any other European metropolis. For the absolute majority of Russians the radical changes in the economy at the beginning of the 90s were not unlike emigration: some of the problems disappeared, but others came in their place. Styles of life changed dramatically in that Russians had to organize their own jobs and salaries, which simply didn’t happen in Soviet times. This was a major source of psychological frustration, all the more so because very low income levels meant that some problems remain unsolved: 70-80% of Russians, for instance, are still not able to travel abroad for holidays or, more importantly, to live in suitable accommodation. Officially, there is no longer a housing shortage. In recent years private construction companies (there aren’t any others) have been building 2 million sq. metres of housing per year: apartment blocks and individual cottages. But municipal social housing is only available for a very limited number of people; and the criteria for getting on the list are much more rigorous than in Soviet times. For those Russians buying their own accommodation, prices are often higher than in Europe: 1 sq.metre in an ordinary ‘economy class’ flat costs about 100,000 roubles ($3,300.00 or €2,500.00). Of course, most Russians are not in a position to buy because their incomes wouldn’t stretch to it, even with a 30-year mortgage (typically with a 10-15% interest rate). Prices may be at European levels, but incomes are many times lower. In St Petersburg today, the average monthly salary is 30,000 roubles (about $1,000 or €750). These headline figures mask a huge disparity between the salaries of various categories of the working population, much greater than in developed countries. So, for example, the average monthly salary of a lecturer in a higher education institute is 20,000 roubles, whereas the rector might well be getting 5 million roubles (figures from Petersburg Statistical Service). The rental market in St Petersburg is underdeveloped, but rents are high and inaccessible to most (a 2-bedroom flat might cost $700-1000 per month). The only property most people can afford is a (second-hand) car. In 1990 (the penultimate year of the USSR) there were 56 cars for every 1000 people but car ownership has grown and by the end of 2011 that figure was 350. Sergei Tselikov, an analyst at Autostat, believes that if the current growth rates continue, by 2020 the average number of cars in the big cities this ‘will be more like 500 per 1000 — that is, if by that time the endless traffic jams haven’t brought life to a complete standstill’. This last comment touches on what most specialists consider the biggest problem in today’s Russia: the inefficiency of management, the distinctly underwhelming calibre of people who work in administration and their casual disdain for the interests of the citizens they are supposed to be serving in order to protect at all costs the interests of officialdom. The area most people consider to be worst affected by bad management is housing and communal services. The city infrastructure as a whole is in an appalling state, including roads, public transport, health services and education. The state of their equipment and their organization fall far short of the public’s real needs. People have expectations that are not far off European standards, but the infrastructure is more suited to a third world country. This is particularly true in the big cities. The main reason for such inefficient state management is the rampant corruption throughout the civil service, which has become the backbone of the system. Not that any of this is a great secret — Medvedev spoke of this while he was president and the media write about it often and in great detail. But nothing changes. Indeed, as the old Russian saying goes, ‘the fish rots from the head down’. Russians mostly understand this, but at elections seem in no hurry to replace the ‘rotten head’ with a healthy one.